Writer, broadcaster and filmmaker Anne Deveson has been on the leading edge of social change throughout her varied career. Through her ground-breaking television and radio documentaries, books and articles, and her membership of numerous boards and organisations, she has illuminated social issues and influenced policy in areas from poverty and aging to child abuse and disability. She is perhaps best known for her work on mental illness — an area she became deeply involved in after her son developed schizophrenia, and which she told of in the book Tell Me I’m Here and the film Spinning Out. Born in Malaya in 1930, Anne’s own childhood was a model of comfortable colonialism until World War Two forced her and her mother to move to Western Australia as refugees. 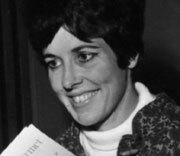 In this interview, she recounts many of the personal challenges she has faced, including the difficulties she encountered in 1950s Australia — living with a married man and attempting to establish herself as a serious news journalist. And more recently, while writing her book Resilience, the sudden death of her partner, with whom she’d hoped to spend the rest of her life. A natural communicator, Anne conveys the warmth and compassion that has made her a continuing source of inspiration and hope for many.